In the medical intensive care unit, a patient who had sustained a cardiac arrest with return of spontaneous circulation but no recovery of neurological function develops septic shock complicated by end-stage renal disease, shock liver, and now refractory hypoglycemia. An approximately 60 year-old male with diabetes is brought in by ambulance after family called 911 for unresponsiveness. His initial glucose was 35mg/dL, his home medications are unknown. Self, W. H., & McNaughton, C. D. (2013). Hypoglycemia. In Emergency Medicine (2nd ed., pp. 1379-1390). Elsevier. Service FJ. Hypoglycemic disorders. N Engl J Med. 1995;332(17):1144–1152. doi:10.1056/NEJM199504273321707. Krinsley JS, Grover A. 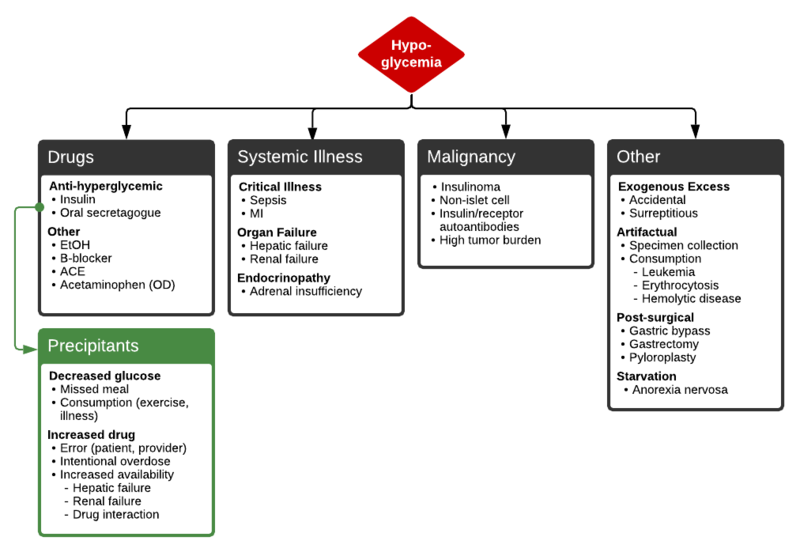 Severe hypoglycemia in critically ill patients: risk factors and outcomes. Critical Care Medicine. 2007;35(10):2262–2267. doi:10.1097/01.CCM.0000282073.98414.4B. 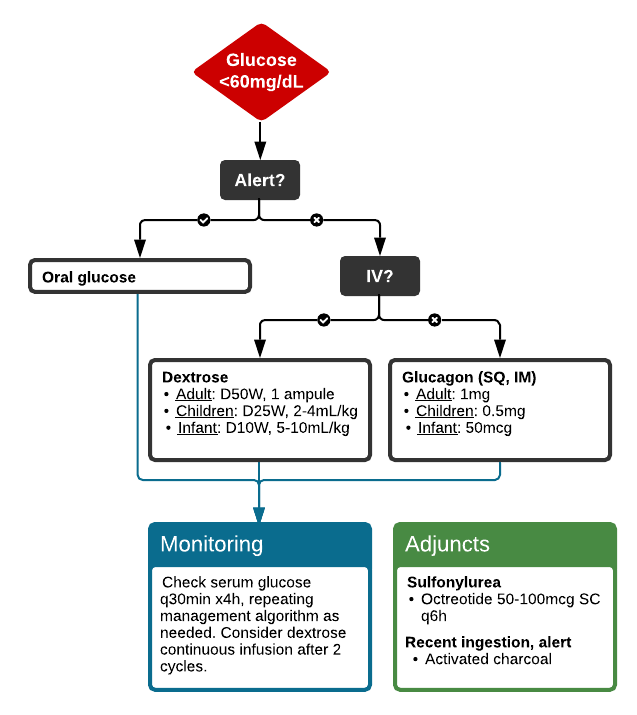 Lacherade J-C, Jacqueminet S, Preiser J-C. An overview of hypoglycemia in the critically ill. J Diabetes Sci Technol. 2009;3(6):1242–1249.